American Institute of Sciences (AIS) supports academics and researchers by providing them with a platform where they can present their research, seek knowledge, and find networking opportunities. The approach of AIS toward science is underpinned by three overarching principles or ideas. First of all, the AIS adopts a critical and interpretive approach toward knowledge production and assessment. Rather than taking things as they are, it seeks to understand how they have come to be perceived as such. Therefore it prioritizes inquisitive scientific research over purely descriptive and prescriptive scientific research. Secondly, the AIS’ approach is integrative, holistic, multi-disciplinary and multi-methods. In other words, it shares the foundational belief that developments in the study of a phenomenon in one discipline whether it is natural, formal, social or applied science can make immense contributions to the study of the same phenomenon in other disciplines. By bringing together scholars, intellectuals or researchers from various disciplines who have an interest in the same subject matter, the AIS objects to create a platform or environment that stimulates fruitful interdisciplinary interactions. Thirdly, the AIS is motivated by a strong desire for innovation; innovation in thinking, innovation in methods and methodologies applied in the study of the same phenomena across different natural, formal, social and applied sciences. In that regard, the AIS conferences and journals’ are expected to serve and contribute to this innovative scientific agenda around the world. Levent Koch is the founder and director of the American Institute of Sciences (AIS). Koch is a graduate of Cukurova University, Turkey where he received a B.A. in Business Administration. He began his professional career in Kazakhstan as a teacher of English in 1993. He completed his Ph.D. in economics at Abai State University of Kazakhstan. 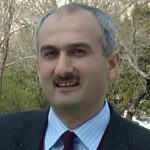 Between 1998 and 2004, he served as faculty and chair in the Economics Department at Suleyman Demirel University of Kazakhstan. He also served as the dean of the School of Economics and Administrative Sciences at the same university. He continued his work in academia through North East Turkish-American Scholars (NETA). As the director of the organization, Koch and his staff provide professional support and guidance for career development and academic growth. He organizes and coordinates conferences and seminars among scholars from diverse fields. In this capacity, Koch provides guidance to some 100 international students every year throughout their Ph.D. applications. Levent founded the American Institute of Sciences (AIS) in 2016. The mission of the AIS is to support academics and researchers by providing a platform where they can present their research, cultivate new ideas, and improve their network. Levent firmly believes that the AIS will serve as a bridge between Western and Non-Western academics.